Leaflet Missal Company, one of the largest Catholic book and spiritual gift stores in the Midwest, is in its 90th year of business. Located at the corner of Minnehaha and Chatsworth in St. Paul, Minnesota (see map), Leaflet Missal carries the latest Catholic gifts, books and devotional items. Our Church Goods department carries a full line of wine, hosts, altar ware, vestments and candles. Contact our Church Goods specialist John for more information. The company also publishes many books and booklets for parish, school and private use. Best sellers include A Treasury of Prayers and Outlines of the Catholic Faith. Both titles have sold over a million copies. But the company hasn't always been in the spiritual gift and religious articles business. In fact, the name "Leaflet Missal" comes directly from its origins as a publisher of Sunday missalettes. The year was 1929. The Mass was said completely in Latin. Many people had trouble following and understanding the Mass. To help the ordinary Catholic follow the Mass more easily, Frs. Paul Bussard and Edward Jennings published the first Leaflet Missal in St. Paul. They were joined in the business by Fr. Louis Gales. The three later started the Catholic Digest. Soon many parishes across the country subscribed, and the circulation was nearly half a million. Special editions were also published for weddings and funerals, including the funeral Mass for President Kennedy. Changes prompted by Vatican II brought increased competition, and the demand for a weekly missal dwindled. The company adapted by starting to sell spiritual gifts and religious articles by mail-order catalog. The catalog business has grown from a single 4-page black and white catalog to a full-color nationally distributed catalog. The company’s website offers customers around the globe 24-hour-a-day convenience. Orders are frequently shipped to Japan, Ireland, New Zealand, and other faraway places. Today the company has a large, beautiful store in St. Paul. Since 1980 it has been owned and operated by the Welvang Family. Three of their six children are actively involved in the business, as well as a brother-in-law and grandchildren. The store offers a very wide selection of spiritual gifts, with over 10,000 items including rosaries, statues, pictures, icons, jewelry, and crucifixes as well as gifts for Baptism, 1st Communion and Confirmation. Many items are imported from Europe and South America. 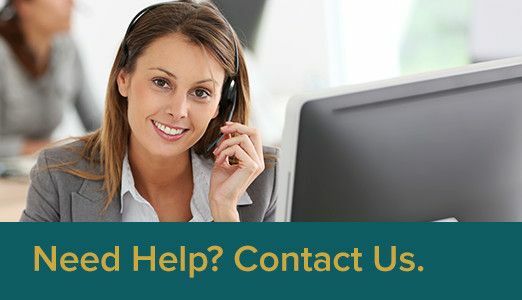 If you have questions that are not answered here, contact us and we'll do our best to answer them.